Men’s Drool Wear: Berry Berry Good! Like everyone else, even we love it when media talks about us. And last couple of weeks has been exceptional as we received the much needed attention from media house across the country. 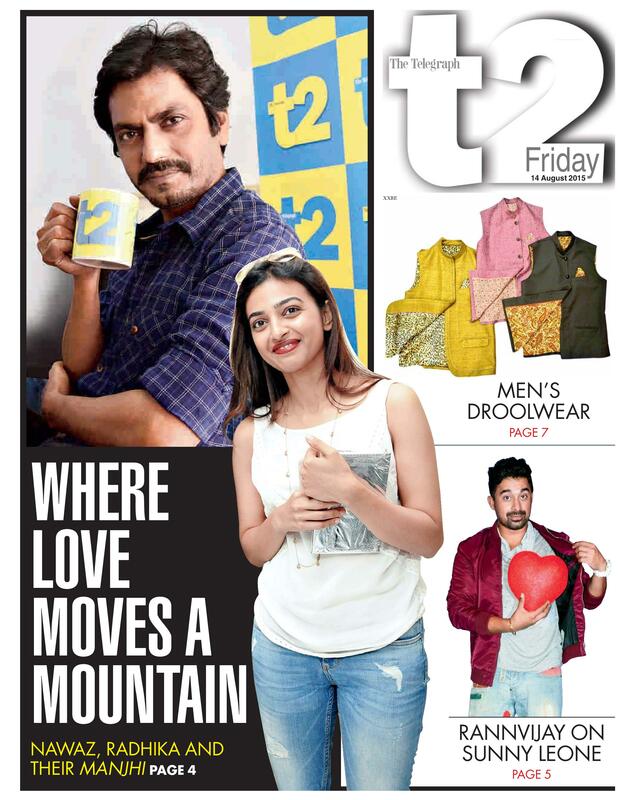 We are right now sharing with you, our coverage in the The Telegraph Newspaper, covered by Ms. Chhandosree, on 14th August 2015. 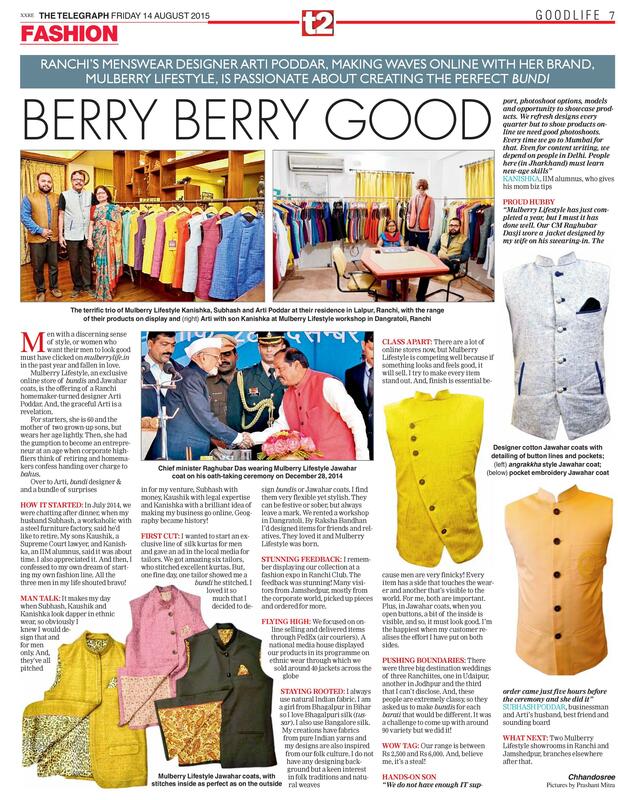 We would like to thanks the Chief Editor and Ms Chhandosree for publishing the story titled “Berry Berry Good: Men’s Drool Wear”” in their News Paper on 14th August 2015. We appreciate their willingness to publish a candid article on how age has never been a deterrent for me to start something new in life and how Arti’s dream to be an Entrepreneur came true. We feel passionate about the support extended by you and are grateful to you for allowing our voice to be heard. These stories will definitely inspire many more young minds in the country and world. Again, we thank you for having our story in your Newspaper.